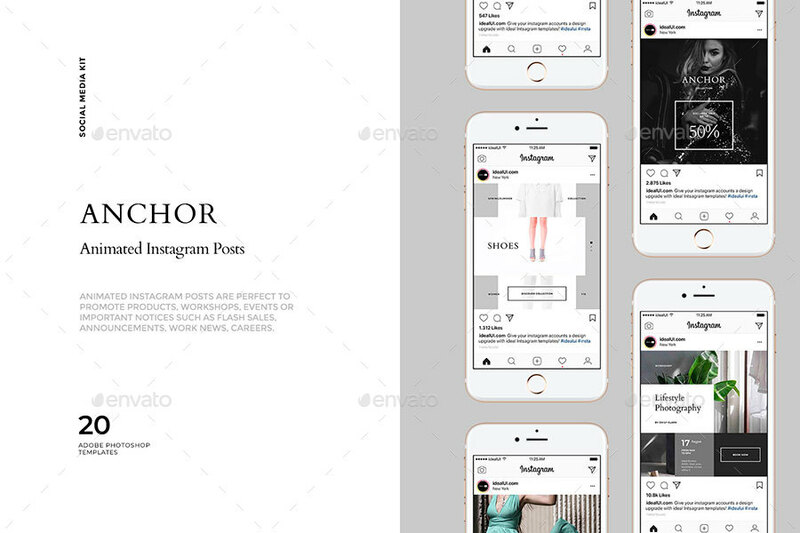 Introducing ANCHOR, an animated Instagram Post template pack. 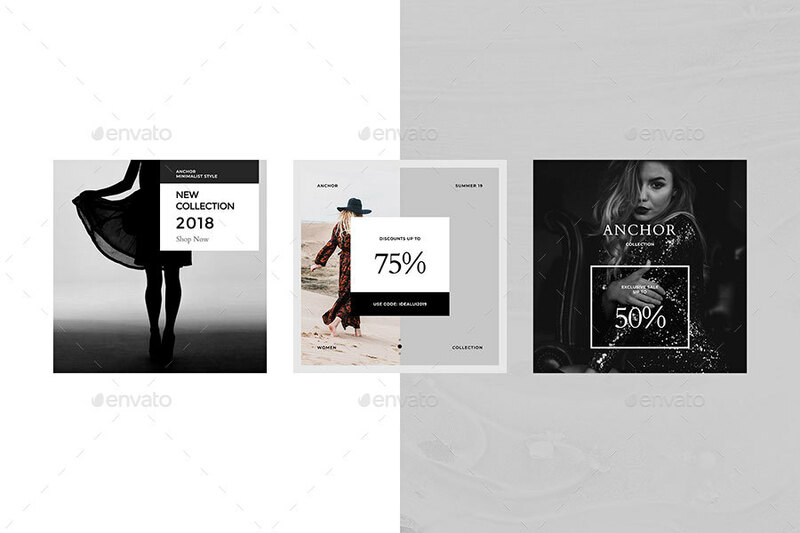 The product includes 20 easy to edit, fully customizable templates designed natively for Instagram. Now you can present your content in a dynamic and effective way and captivate your audience. 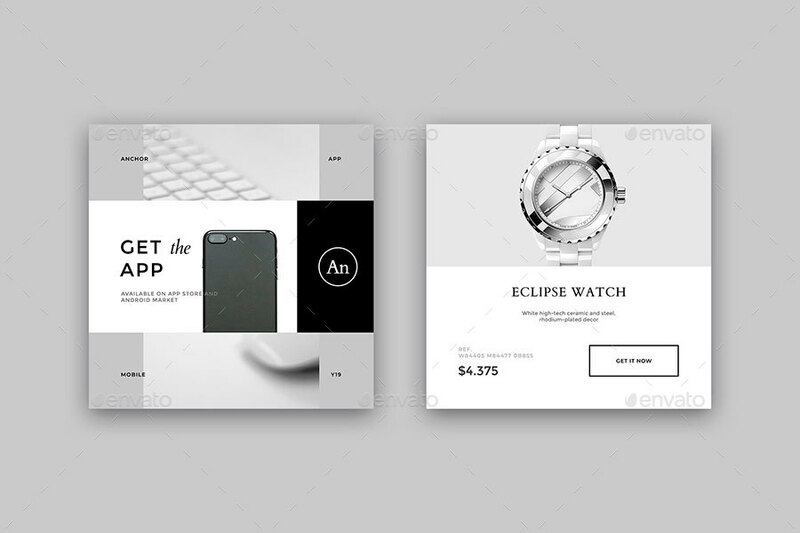 Our carefully crafted animated Instagram posts are perfect to promote products, workshops, events or important notices such as flash sales, announcements, work news, careers. 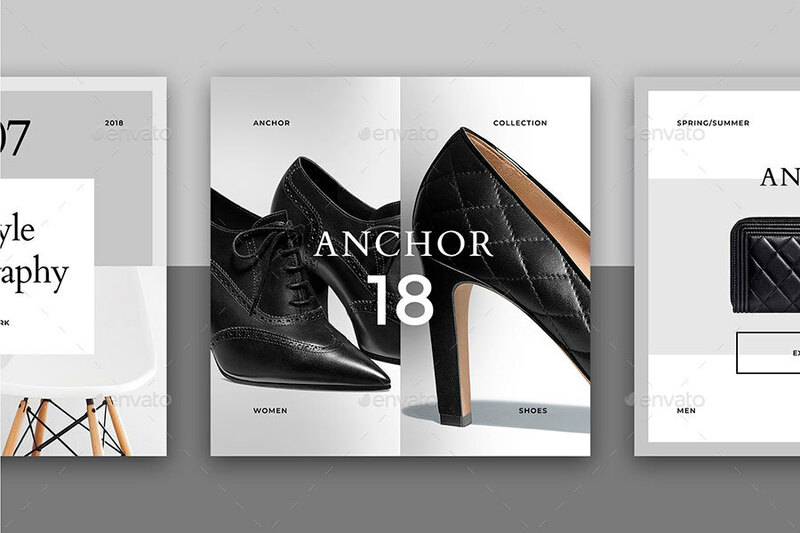 The animation has been already created for you — just change text, images and colors. Export a video file and post it on Instagram. 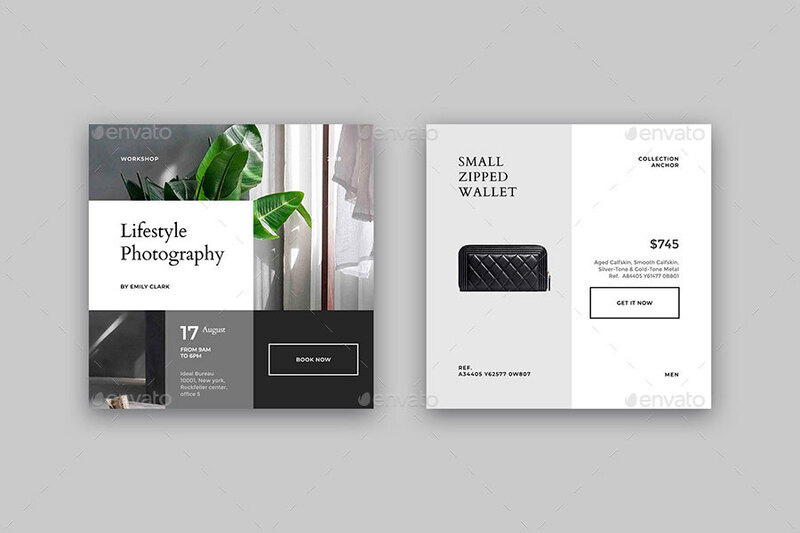 This pack is ideal for bloggers, tech startups, lifestyle brands, magazines and creative business. 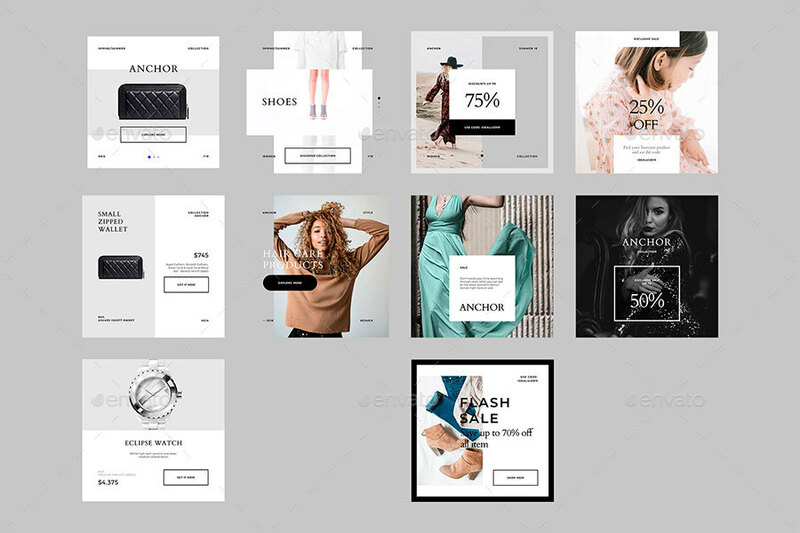 Simply drop your content into the template and save it. 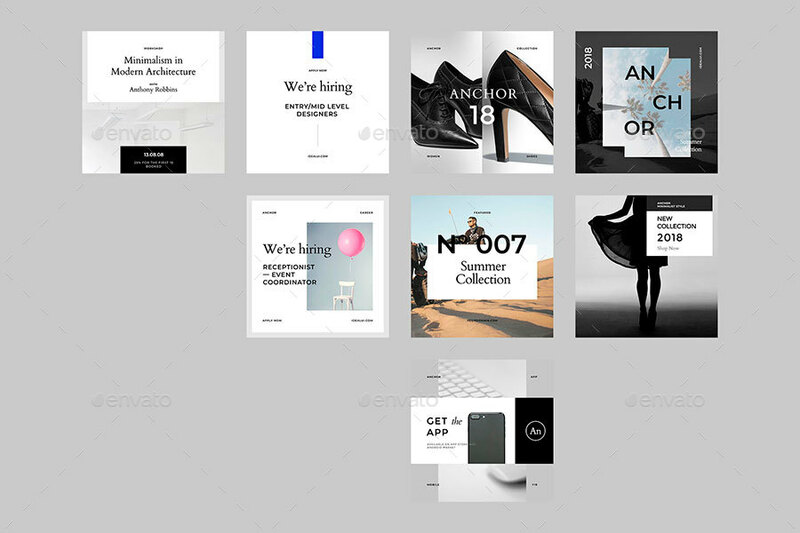 Each of them is easy to edit and customize, all you have to do is replace images with your artwork via Smart Objects. 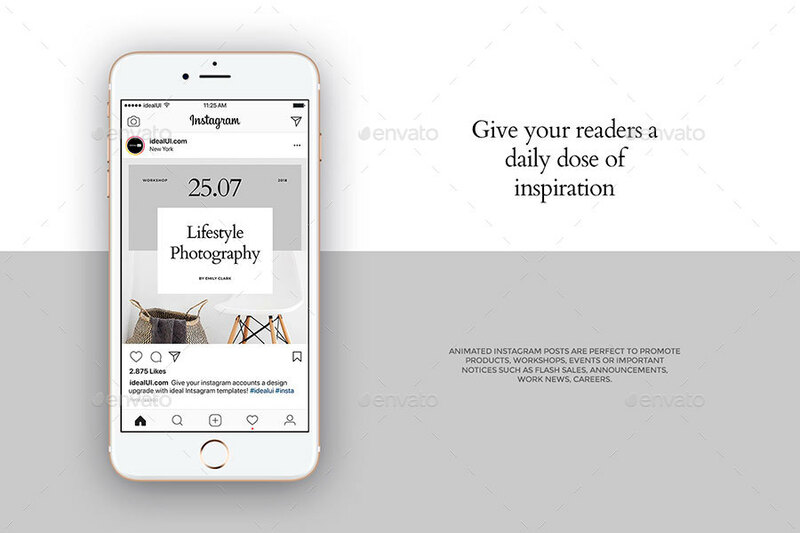 Give your readers a daily dose of inspiration and bring elegance & sophistication into your Instagram Posts with these minimalist design. NOTE: Photos NOT included in package. The links to download the fonts are available in the Help Files.